Spin Genie Casino has refreshed it welcome offer for new players at their casino, the 50 Free Spins No Deposit has been removed for the time being, but there is now a very nice 200% Casino Bonus up to £100 available to new players on their first deposit. This does come with a fairly hefty wagering requirement of 80x bonus on slots or 60x bonus on Slingo, and 8x on Boom so definitely keep that in mind. The first deposit bonus is valid up to £100 which would require a first deposit of £50 giving you the £100 bonus and in total £150 to play with, with a max cash out from bonus funds set to £500. 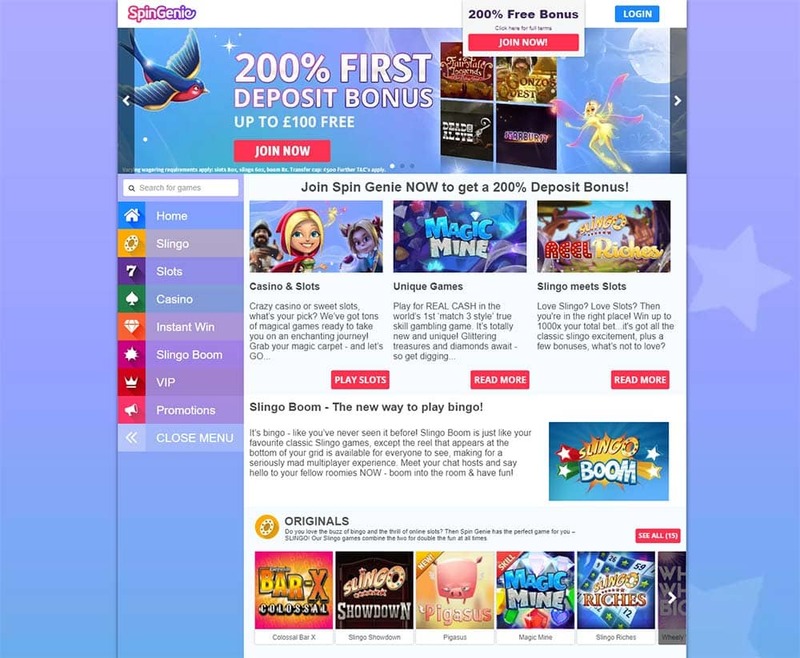 In the last year, the casino has undergone some major improvements with a total site re-design and the addition of many more slot providers and of course the unique Slingo games. 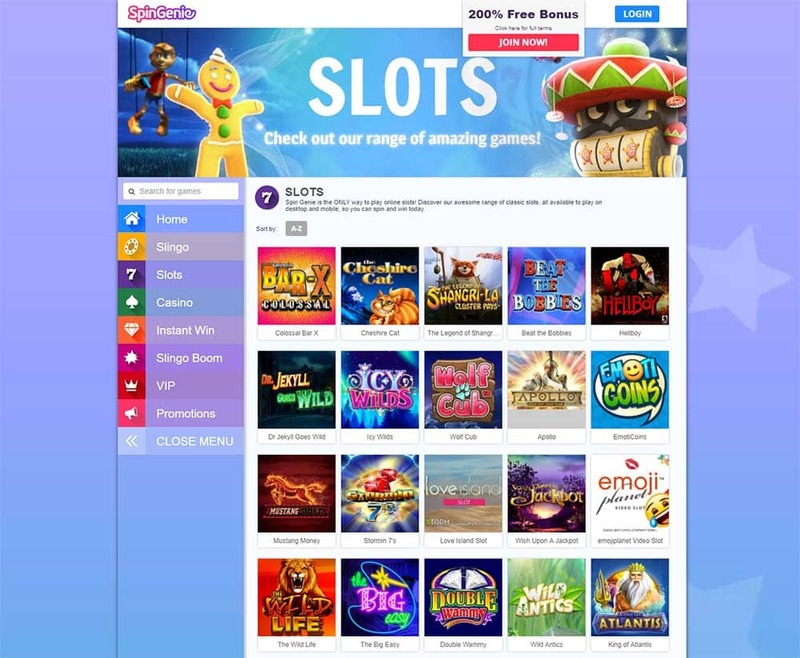 Players will now find a great mix of online slots from providers such as NetEnt, Microgaming, WMS (SGi), IGT, Blueprint Gaming, Eyecon and much more! Get my 200% Welcome Bonus Now! Your first deposit bonus can be redeemed by making a minimum deposit of £10 by credit or debit card, or via ‘Pay by Mobile’. The maximum bonus you can receive from this promotion is £100. e.g. if you deposit £50 then you will receive a £100 bonus, however, if you deposit £100 the maximum bonus you will receive is £100. Your 200% first deposit bonus is subject to wagering requirements: Slots 80x, Slingo 60x, Boom 8x. Only wagering from the bonus awarded by this promotion will contribute to its wagering requirements.